Vancouver, BC -- Aben Resources Ltd. (TSX-V: ABN) (OTCBB: ABNAF) (Frankfurt: E2L2) (the "Company") announces a non-brokered flow-through private placement of up to 2,666,667 Flow-Through Units at a price of $0.15 per Flow-Through Unit to raise gross proceeds of up to $400,000. Each Flow-Through Unit will consist of one flow-through share and one share purchase Warrant entitling the holder to purchase an additional non-flow-through common share at a price of $0.20 for a period of one year. 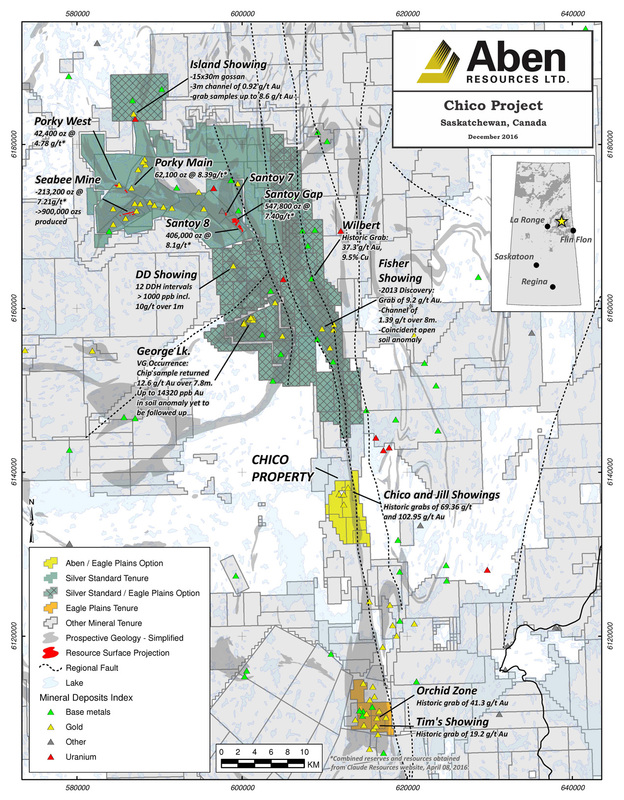 The Company also announces a non-brokered non-flow-through private placement of up to 740,741 Units at a price of $0.135 per Unit to raise gross proceeds of up to $100,000. Each Unit will consist of one common share and one share purchase Warrant entitling the holder to purchase an additional common share at a price of $0.18 for a period of one year.